Winter fruits are what I love to eat. Warm and syrupy, fragrant with spices. And in non-vegan months, with a large dollop of thick cream. 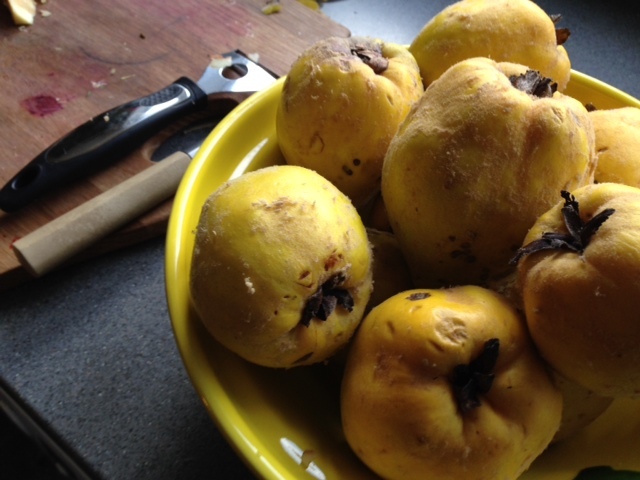 Quince are my favourite – with hints of rose petal and dense apple and geranium. Who needs air freshener (yes – who does need air freshener?) when there’s a bowl of quince in the kitchen. Mine came from Bungay, spotted by Shirley, handed over to Su who delivered them to me round about Su’s birthday in November. The friendships along the Waveney valley are hard to beat – and 35 years on, the way hawk-eye Shirl can conjour up a quince when my cries de couer goes out on Facebook, and is testament to that consistent friendship and regard. It is important to me. As is the deliciousness of warm mellow winter fruits. Things to do with winter fruit…………. roast quince alongside lamb. You won’t believe the magic they can add. Add one quince to a few bramley apples stewed in a little water with light brown sugar and just one star anise and then make a crumble or a pie. Or roast sweet potatoes and quince in soft golden rapeseed oil and a drizzle of maple syrup and a sprinkling of nigella seed at the end. 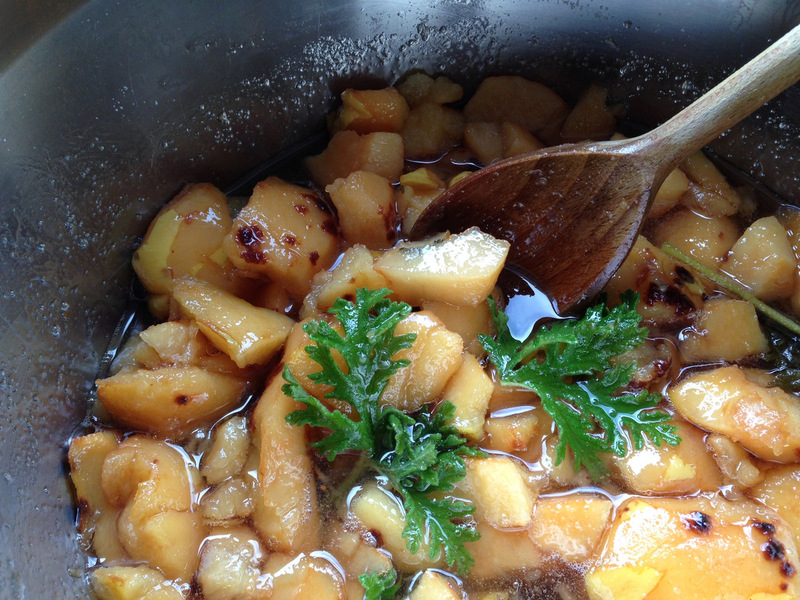 Or make quince marmelade – just chop the quinces into chunks. I don’t bother peeling them and coring them – they are as hard as bullets and it kills your hands! 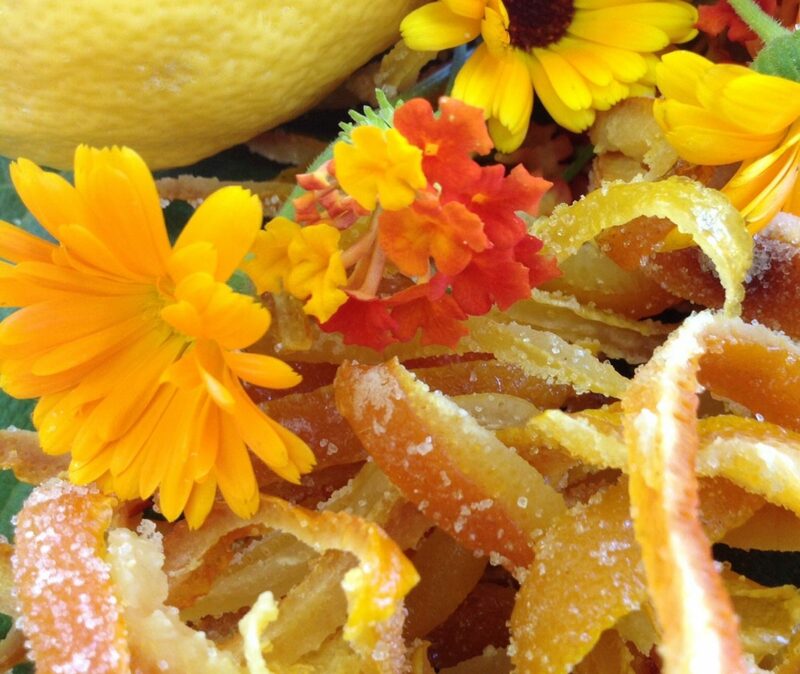 – and put in a preserving pan with a vanilla pod and a couple of strips of lemon peel. Or keep back some cooked quince and apple and have it for breakfast with nutty home-made granola. 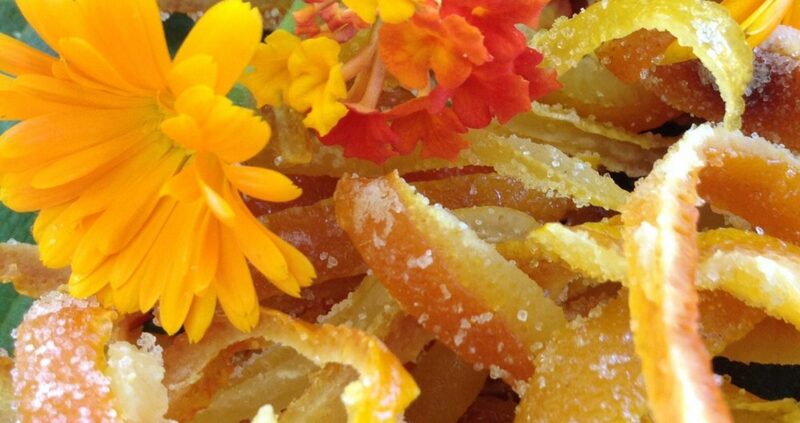 If only we had scratch-and-sniff blogs! Then bring gently to the boil until very soft. You will notice the colour changes to a dusky pink. Heavenly in silk! When soft, remove the vanilla pod and push all the pulp through a seive, removing all the rough husks and skin. Return to the pan. For every cup of pulp, add half a cup of preserving sugar. Then bring back to the boil stirring all the time and keep on a gentle boil for about an hour until the whole thing becomes deep pink/orange. Then pour carefully into clean hot jars. Add a rose scented geranium leaf if you wish!